My take on broccolini is a slight departure from the stove-top version of broccoli that I posted a year ago. Heat the olive oil in a large stainless steel skillet (that will hold the veggies without crowding), when smoking hot add the red pepper flakes, swirl for a couple of seconds and immediately add all the broccolini. Do not move them around, let them get a nice brown color at the bottom. Season with salt and pepper. After a couple of minutes, add the ginger and lemon zest, and shake the pan to move the broccolini and coat well all sides with the ginger, lemon zest, and oil. Comments: If you are anti-broccoli and think broccolini resembles it too much, please reconsider! There’s absolutely none of the broccoli flavor/smell that many object to. 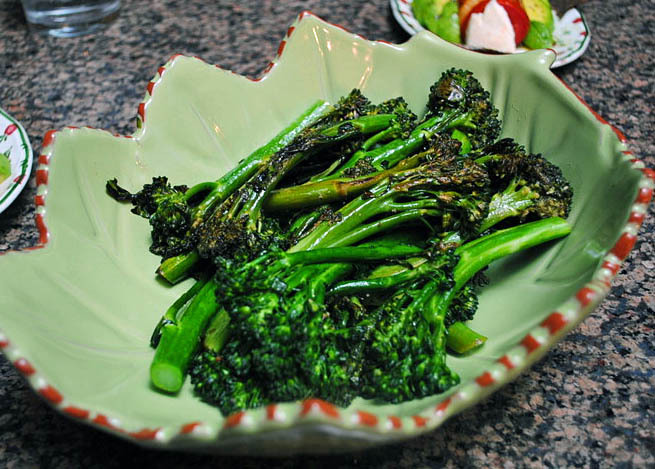 Avoid over cooking it, and buy young broccolini, with a bright green color and a firm flesh. This recipe is low in carbs and fat, but sky-high in flavor! Lemon, ginger & red pepper flakes might very well be my favorite flavor mix right now: good on everything! ONE YEAR AGO: Pizza! Pizza! I love roasted vegetables, whether it’s cauliflower or butternut squash, carrots or mushrooms, and especially broccoli. 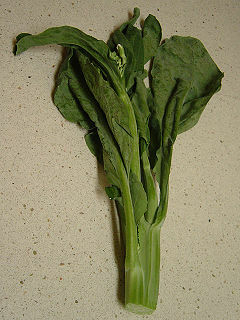 For reasons that I can’t explain, when broccoli is being roasted it’s become fashionable to call it “blasted broccoli“. I recently encountered a method for ‘blasted broccoli‘ that literally only took minutes to prepare. We enjoyed it so much that I made it twice in the same week! The strangest thing happened, though: now that I want to write about it, the link is gone. I tried and tried to retrieve it, but without success. All I can find are the usual recipes that call for roasting in a high oven. So, my apologies for failing to give proper credit, but here’s the method that we liked. Heat the olive oil until very hot, almost smoking, in a large skillet that will hold the broccoli in a single layer, with little or no overlapping. 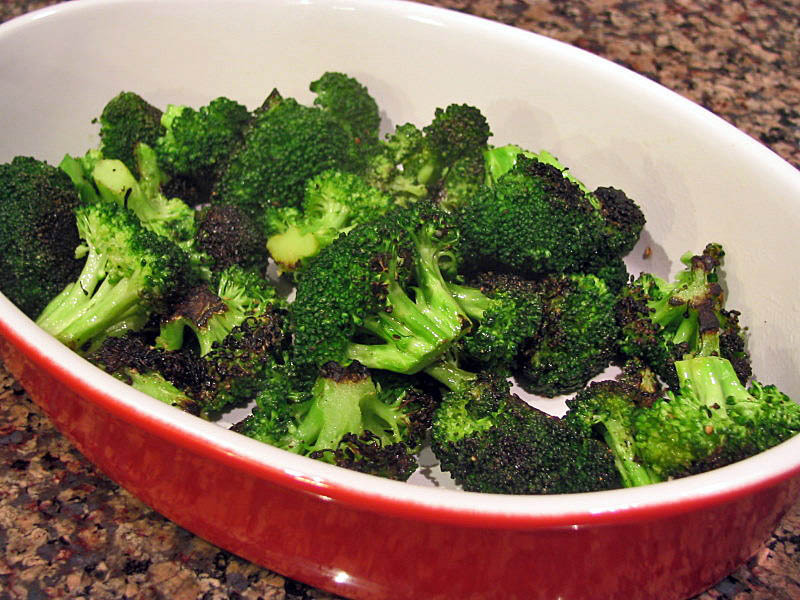 Add the broccoli florets, sprinkle with salt, add red pepper flakes, shake the pan, and immediately cover it. Leave it covered for exactly two minutes. Open the pan and spritz lemon juice all over. Check the broccoli to see if it’s cooked to your taste (I like mine with a lot of bite). If you want it softer, then cover the pan and cook again for another 30 seconds. Comments: This recipe won me over because it’s lightening-quick, and leaves the broccoli exactly as I like it: firm with a fresh and smoky flavor, from its intensely seared florets. My stainless steel skillet was not in great shape afterward, but I suspect I over-heated the oil a bit. The secret lies in closing the pan and allowing the broccoli to cook undisturbed, to create a little char at the bottom, and enough steam to begin cooking the florets. I’m 99% sure that the original recipe asked to finish it with butter, but I opted for fresh lemon juice instead. 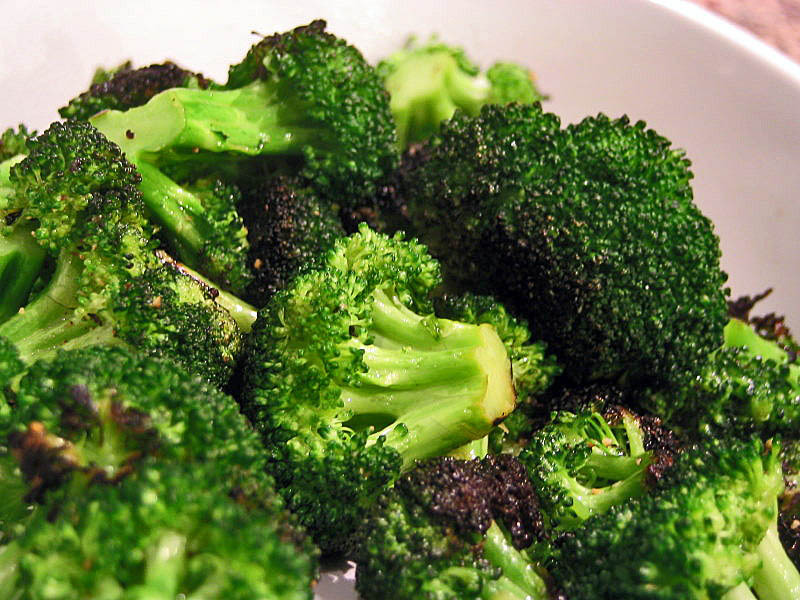 Feel free to improvise, as broccoli matches with balsamic vinegar, or grated parmiggiano cheese, or a little nutmeg…. just use your imagination. When prepared this way the broccoli has the quality of a classic roasted veggie, but with a “brighter” flavor; I couldn’t stop nibbling on it. This one goes into my regular repertoire! On a side note, this method reminded me of a recipe for Brussels sprouts that I made long ago from 101 Cookbooks. It’s delicious, producing the same kind of flavor in a veggie that’s a little challenging for lots of folks. Give it a try even if you’re Brussels-sprouts-challenged.